Vegetarianism and veganism – and more recently, flexitarianism – are just a few examples of diets that incorporate plant-based foods. While gaining more widespread popularity lately, plant-based foods have been around for thousands of years. Plant-based food – as the name suggests – is food that comes from plant origins. 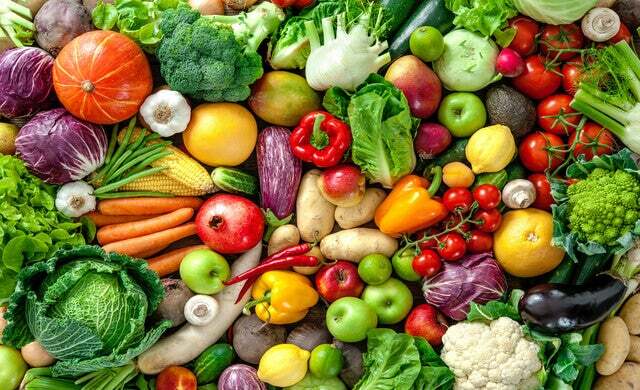 This includes fruit and vegetables, as well as beans, cereals, grains and legumes. Whether catering for those that opt for a completely vegan diet (no products from any animal sources), follow vegetarianism (no animal meat products), or those who occasionally eat meat or fish (flexitarianism), eating more plant-based foods isn’t just a growing, but an exploding trend. There’s even a growing practice of freeganism – people who eat (vegan) food for free, whether it has been thrown out by retailers and food outlets, or is growing in the wild. While plant-based diets themselves aren’t new, what is interesting is how mainstream they’re becoming, and that more men are looking at plant-based protein too – providing potentially profitable business ventures for entrepreneurs. As people are becoming more and more interested in the food they eat – including where it comes from, how it’s made, and what the effects of eating it are – plant-based foods are being increasingly recognised for their possible health benefits and eco-friendly footprint. With vegan diets garnering press coverage from high profile media outlets – including the BBC writing about the rise of veganism, Forbes reporting on why businesses should turn vegan in 2018, and The Guardian commenting on veganism becoming mainstream – it’s clear to see that plant-based foods is a trend that’s at the top of many news agendas. Plus, with Harvard Health Publishing discussing the benefits of eating more plants, plant-based foods have been recognised by established research institutions too. Additionally, market trend reporter Mintel has named ‘evergreen consumption’ (the connection between suppliers and consumers throughout the production process, with a focus on sustainability) as one of its three key global food and drink trends for 2019. But it’s not only official publications that are documenting it. At the time of writing, #plantbased had 18.9 million posts on Instagram, suggesting that people around the world are interested in the concept on a day-to-day basis. And in addition to its international popularity, several British chains are now showing a commitment to catering for plant-based diets. In 2017, Tesco appointed American chef Derek Sarno as its first director of plant-based innovation, while similarly, Pizza Express has introduced a number of vegan items into its menus throughout 2018. So what do plant-based eaters actually eat? When thinking about plant-based foods, it’s easy to think that it’s all about fruits and vegetables. While so-called ‘superfoods’ – such as berries, leafy greens, and the ingredient of the moment, watermelon seeds – can form a part of plant-based diets, there are a lot more elements to consider as well. Crucially, there are a number of plant-based protein sources too, such as soy products (tofu, tempeh and edamame beans), lentils, nuts and chickpeas, to name a few. In fact, by 2054, plant-based proteins could account for up to 33% of the overall protein market, according to Lux Research. And as the plant-based protein market becomes more widely touted, it’s no longer just young women leading the vegan charge. 2019 will see a shift towards ‘masculine plant power’, offering a significant opportunity for businesses to capitalise on this less-exploited segment of the market. With the likes of Formula 1 driver Lewis Hamilton, footballer Jermain Defoe, and boxer David Haye, all examples of athletes that are said to follow a vegan diet, plant-based foods show no sign of being knocked out any time soon. Aspiring start-up founders looking to launch a hospitality business could serve plant-based foods, whether that’s as takeaways from a food truck, or as more formal meals in a sit-down restaurant. For example, food-truck-turned-restaurant (and Startups 100 2018 index-listed) The Vurger Co. offers traditional fast food fare that’s entirely plant-based, including burgers, fries and shakes. According to Kantar Worldpanel, 29% of evening meals in the UK are veggie. Therefore, there could be opportunities in changing the way people shop for the food they eat at home. One option could be to start an entirely plant-based or vegan supermarket – whether as an online-only retailer, a brick-and-mortar shop, or both. For example, GreenBay is a London-based vegan supermarket with an online store that also delivers across the UK. Potential bar owners could take inspiration from Netherworld in Brisbane, Australia, an arcade bar where customers can play retro video and board games, and chow down on an entirely vegan menu that can be customised with meat or dairy options. This canny approach to creating a menu is aimed at plant-based eaters, but also allows dishes to be modified for traditional diets. This inversion of classic pub food protocol allows plant-based eaters and meat eaters to dine together easily, and is a disruption that savvy British bar owners may want to use as inspiration. Other business opportunities could exist in creating plant-based versions of international cuisines, whether to eat in a restaurant or at home – using African ingredients (a 2017 business idea), for example. Similarly, potential start-up founders could consider moving into the subscription box business. For example, Mindful Chef (another Startups 100 2018-winning business) is a UK health food box company that delivers meal kits suitable for plant-based eaters and meat eaters alike. Also, you could offer a combination of supermarket and subscription box services, like TheVeganKind, or get your product featured in such a service. Alternatively, foodie entrepreneurs could consider non-service-based business opportunities and look to food production instead. With many plant protein start-ups based in America, there could be a gap in the market for British would-be business owners to create similarly realistic meat substitutes. US-based Impossible Foods first launched its Impossible Burger – a plant-based burger that ‘bleeds’ – in 2016. There could also be opportunities for businesses to position themselves within the masculine plant protein sector too. As the trend for plant-based foods that accurately mimics its meat counterparts continues to grow, there could also be demand for plant protein powders to build muscle and fuel workouts, as part of a wider shift towards the rise of masculine plant protein. For example, the publication of American vegan cookbook Thug Kitchen back in 2014, as well as the launch of Rudy’s Dirty Vegan Diner in London’s Camden Market in 2018, are two examples of vegan food being marketed in a more conventionally masculine way. Hannah Carter, founder of Alternative Foods, comments on the trend: “It’s only recently that we’ve begun to understand the impact of our food choices over the last twenty years. “We now understand that our health is being compromised by our high intake of animal protein and antibiotics injected into the animals we eat, and that the environment is also suffering as a result. “Armed with this newly-acquired knowledge, it’s generally considered to be the younger generation who are driving the lifestyle choice towards adopting an increasingly plant-based diet. “The concept of plant-based food alternatives is still in its infancy, however, and so – with the sector growing at an astonishing rate (plant-based food is currently Waitrose’s fastest growing line) – there are opportunities to be had for entrepreneurs in many areas. “I believe the challenge is no longer simply catering for vegetarians, vegans and those with specific dietary requirements. Millions of consumers would like to help the environment and support animal welfare whilst eating healthily, but are loathe to make a significant change to the food they enjoy or increase their food costs. “The rise in popularity of plant-based food is hugely important. There’s more and more awareness on the environmental impact meat farming has, and the importance of eating more plant-based foods. With this, the trend of veganism has continued to grow, with more than 3.5 million vegans in Britain. “It’s vital that consumers and food industry players make more changes to eating more sustainably because of climate change. Therefore, the more food business ideas that are plant-based and using food waste or by-products, the better – and I believe the easier it will be for those businesses to be successful.